“Intro to Music Camp” is a fun week long camp that introduces a variety of instruments to new music students between 8 and 12 years old. Each day we introduce a new instrument, to our campers and work towards playing a song together by the end of the week. 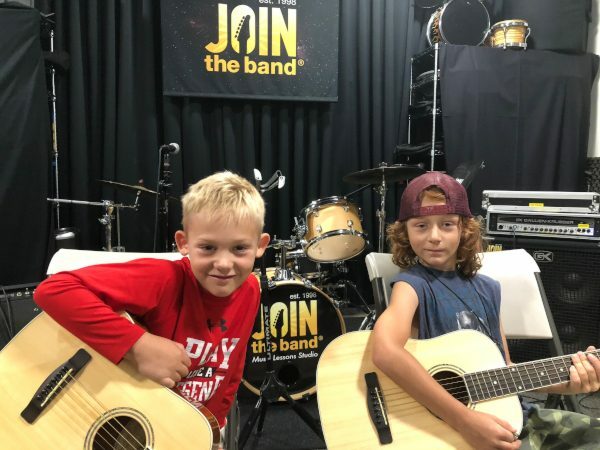 Our friendly studio environment encourages kids to have fun trying new instruments like guitar, piano, drums, singing and bass guitar. We also introduce ear training exercises to help understand what they hearing when they listen to music. Previous musical experience is not a requirement for the Intro to Music Camp. What will I do at Intro to Music Camp? 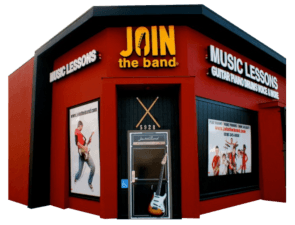 Your child will be introduced to a new instrument, including hands on experience on guitar, piano, drums, bass guitar, and singing by one of our qualified Join the Band teachers. Have private and group time with your instrument of choice monitored by your camp JTB camp leader(s). Learn about your favorite songs. Listening skills. Including: identifying instruments by ear, song form, dynamics (loud and soft), rhythm styles and tempo. Depending on the level some camps will form a band. Intro Camps are held throughout the summer and meet from 9am – 2pm. Monday through Friday. Intro to Music Camp meets every week in over the summer. 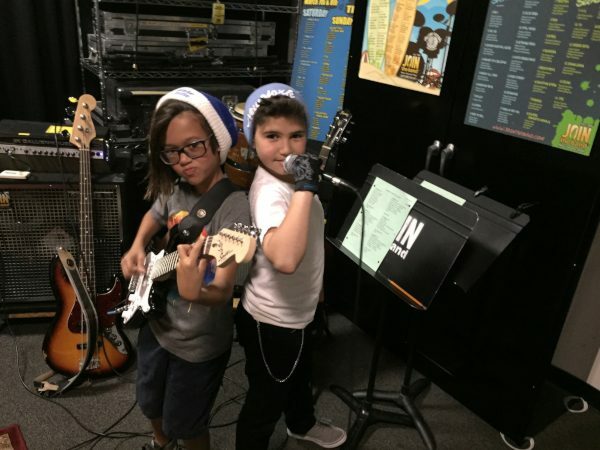 Intro to Music camps at Join the Band are a fun way to learn music and make new friends!